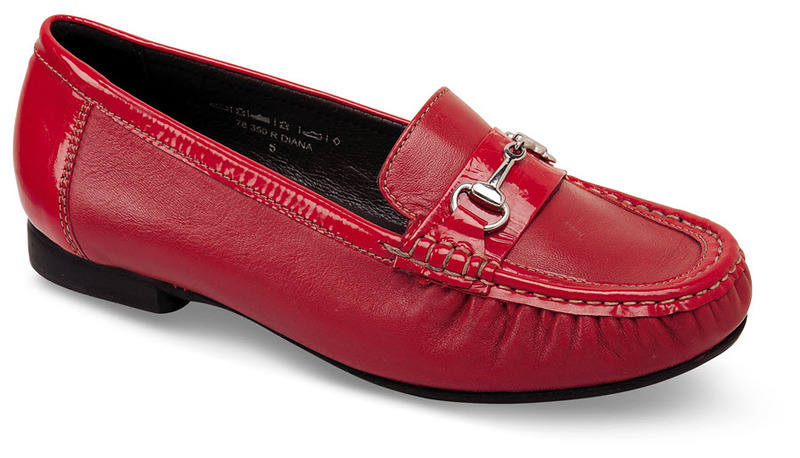 Bright red, easyB’s dramatic “Diana” loafer has uppers of soft leather and shiny patent with metal bit detailing. Fully lined with leather, it has leather “air comfort” insoles that can make room for orthotics or provide extra depth for added comfort. 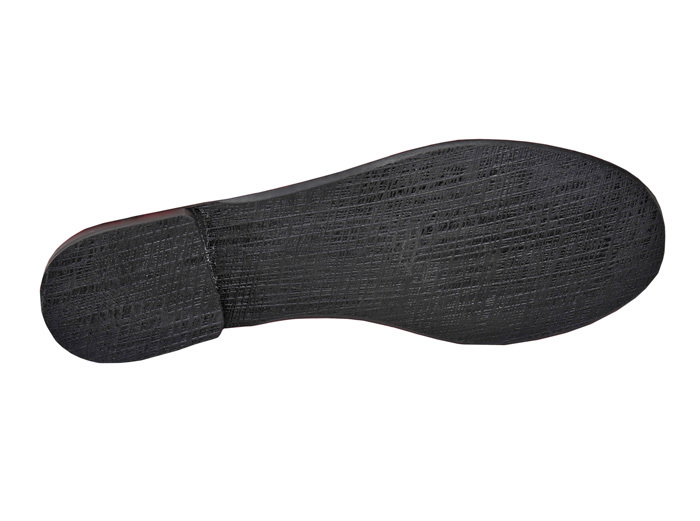 Rubber sole with half-inch heel. Made in U.K. women's sizes equivalent to U.S. sizes in variable 2V (fits 2E to 4E). ON SALE! Originally $149.95. Limited stock in sizes indicated.